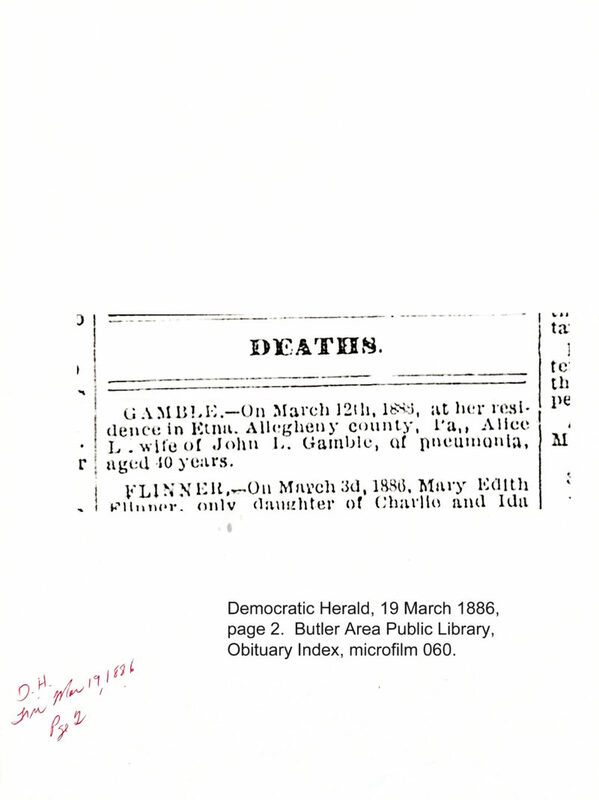 Alice (Wise) Gamble is my 3rd great grandmother. I have previously written a blog post that included a transcription of her two obituaries. You can read them here. These are the newspaper clippings I received from the Butler Area Public Library. Barbara Frick is my 4th great grandmother. 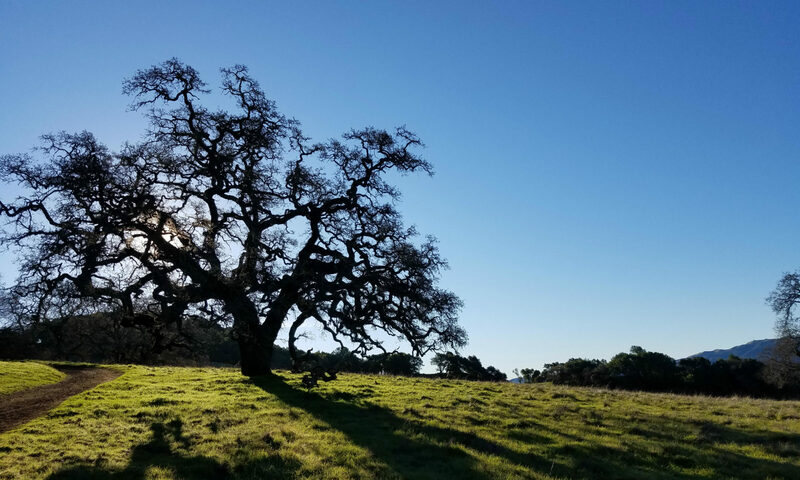 I have written a previous blog post with a transcription of her obituary. You can read it here. 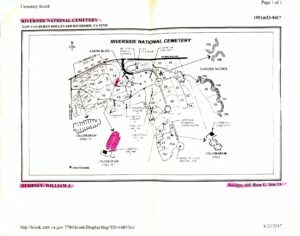 I have also written a blog post about her burial with her husband, John Gamble. You can read it here. 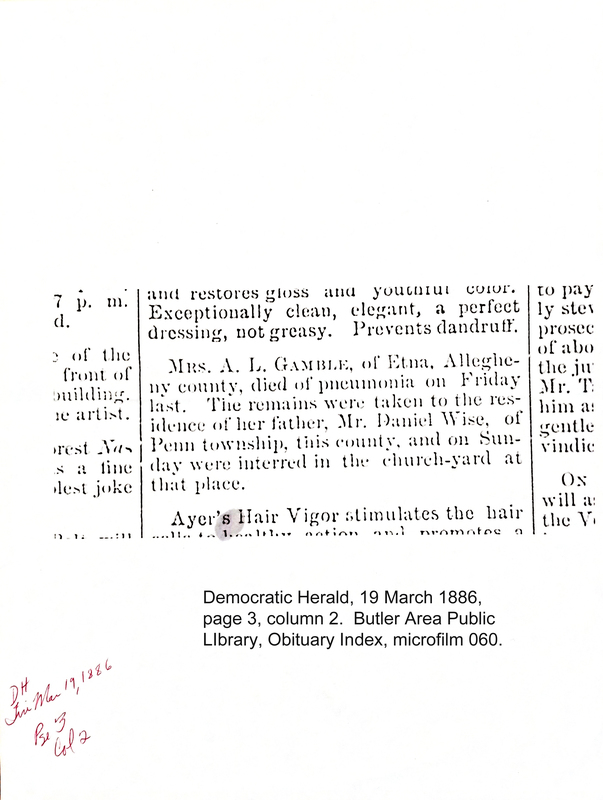 Here is a copy of the newspaper obituary I received from the Butler Area Public Library. There are some interesting details. It sounds like she may have suffered a stroke. 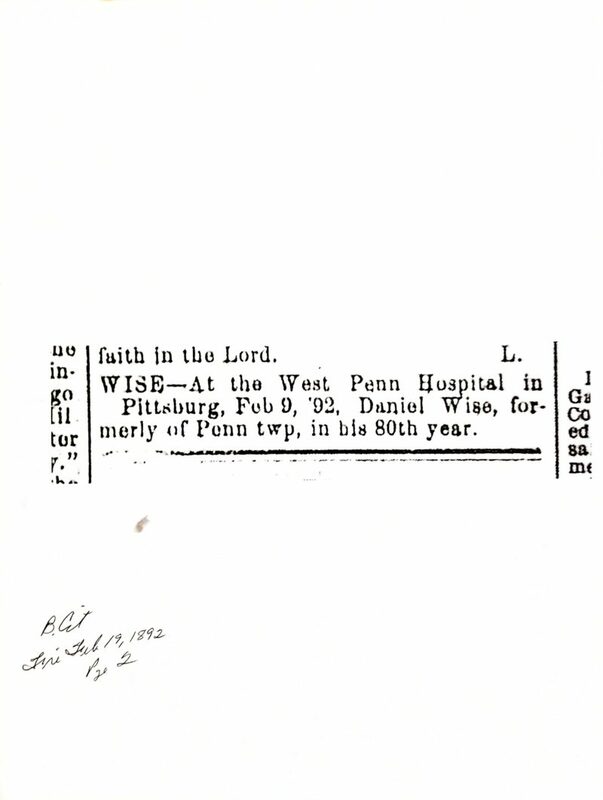 If you have any ancestors in Butler County, Pennsylvania, I would highly recommend checking out their Obituary Index. 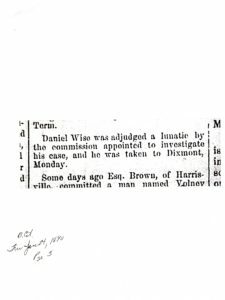 Daniel Wise (1812-1892) is my 4th great grandfather. We was born and lived in Western Pennsylvania. 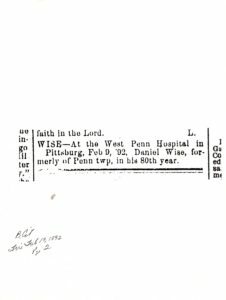 A few years ago, I found the Butler County Public Library had an online obituary index. You could then contact the library for the original newspaper article. I was surprised to find that Daniel Wise had multiple listings in the index. I was lucky that two references to a lunacy declaration was also included in the index. 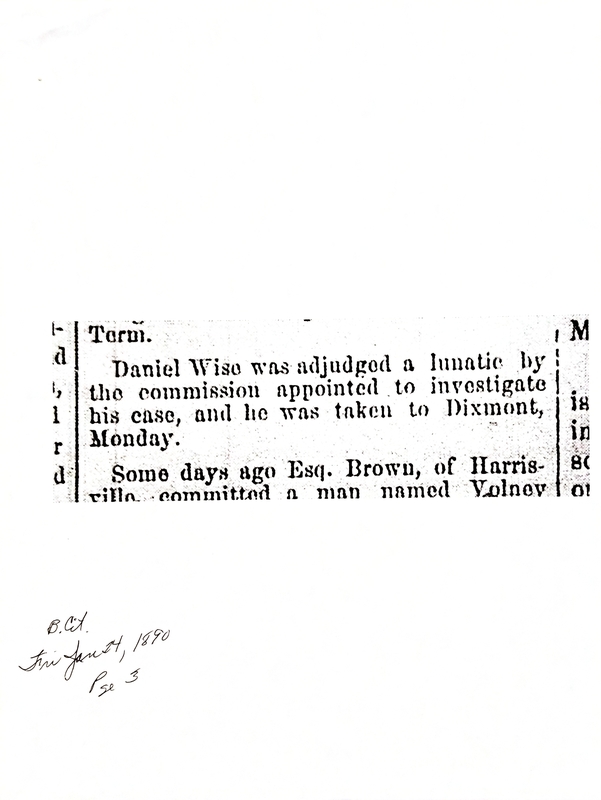 The following articles relate to Daniel being judged a lunatic and his hospitalization at Dixmont. Dixmont was the first mental health hospital in Pennsylvania. It was a branch of the West Penn Hospital. Daniel passed away two years later in the hospital. 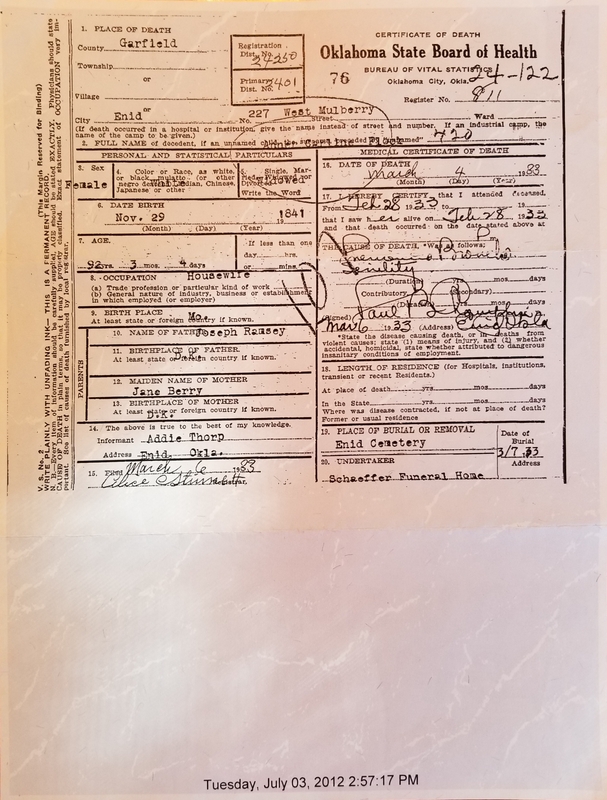 I have sent some emails to try to locate the original court records regarding the lunacy case. There are some discrepancies in Daniel’s date of death. The article below states it occurred 9 February 1892. 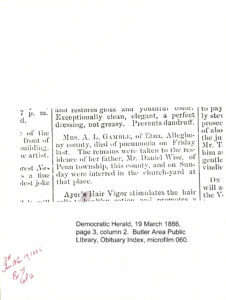 His probate papers state he died 18 January 1892. 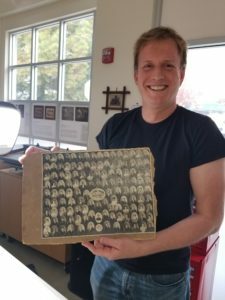 I am hoping that a trip to the Pennsylvania State Archives might include records from Dixmont. 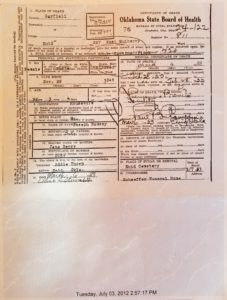 Adding another genealogy trip to the list! Butler Citizen Newspaper, 16 August 1889, page 3, col 4. 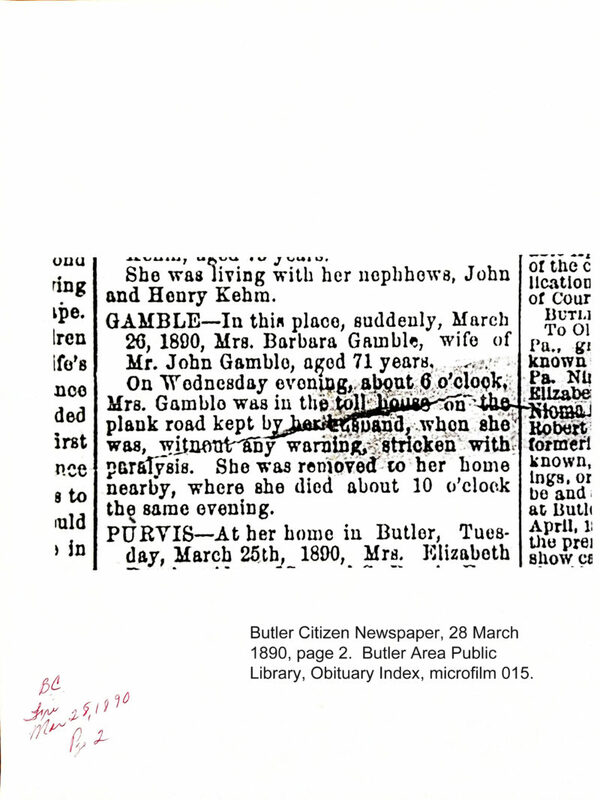 Butler Area Public Library, Obituary Index, microfilm 14. Butler Citizen, 24 January 1890, Page 3, column 6. 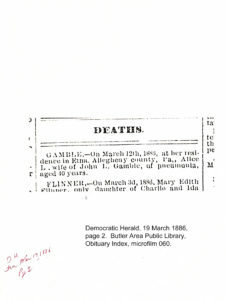 Butler Area Public Library, Obituary Index, microfilm 015. Butler Citizen, 19 February 1892, page 2. 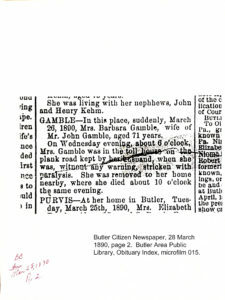 Butler Area Pulblic Library, Obituary Index, microfilm 015. Agnes Mattson (1909-1982) is my husband’s great grandmother. She has an interesting burial story. You can read about Agnes’ many husbands here. You can also read a previous blog post about her grave site here. Agnes was married to her 7th husband, Pat O’Malley, at the time of her death. Pat was a widow at the time of his marriage to Agnes. The couple had agreed during their marriage on a burial plan. Pat would be buried with is deceased wife. Agnes would be buried with her favorite husband, Donald Frazier. This past summer the kids and I were driving past Colma, California and decided to make a spur of the moment decision to visit Agnes. 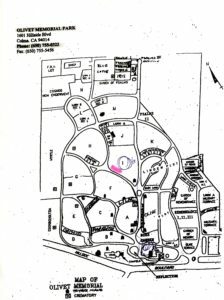 Olivet Memorial Park is another very large cemetery. Although we have stopped by before, I could not remember where Agnes was buried. We stopped by the office and received the following maps. 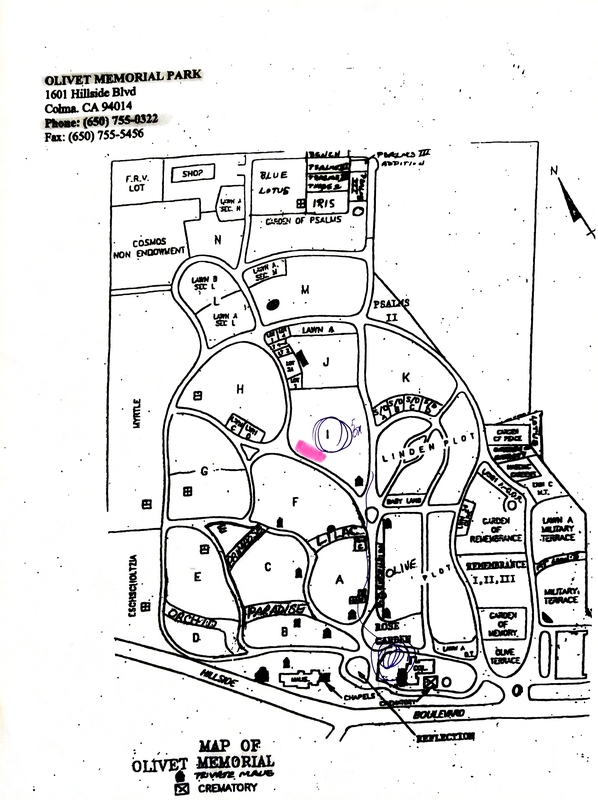 The pink area I have highlighted is where Agnes and Don are together. Agnes Mattson burial site, Section I, Number 178-3, Olivet Memorial Park, Colma, California. William J Dempsey (1923-1998) is the brother of my grandmother, Mary Dempsey. His remains were interred at the Riverside National Cemetery. My grandparents, Mary and Jay Capelli, are interred at the same cemetery. After burying my grandmother last year, we stopped at the kiosks at the administration building. The kiosks are to available to look up and locate the burial site of your family member. These are extremely helpful as this is a very large cemetery. The kiosk will print a map and burial site information for you. Unfortunately, we were unable to visit Uncle Bill. The columbarium were his ashes are interred was closed to the public as they were doing construction on a new building. 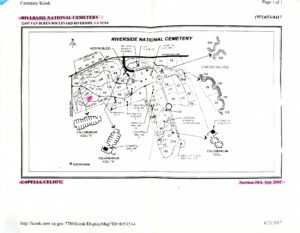 If you are preparing to visit the cemetery (or any military cemetery) the information is also available online at the U.S. Department of Veterans Affairs website. 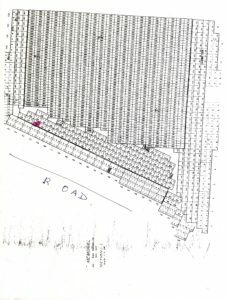 Dempsey, Bill Burial Site, Section AH, Row G, Site 23, Riverside National Cemetery, Riverside, California. Last year my grandmother, Mary Dempsey (1921-2017) passed away. She was buried with my grandfather, Celio “Jay” Capelli (1914-2009) at the Riverside National Cemetery. While at the cemetery we stopped at the administration building. 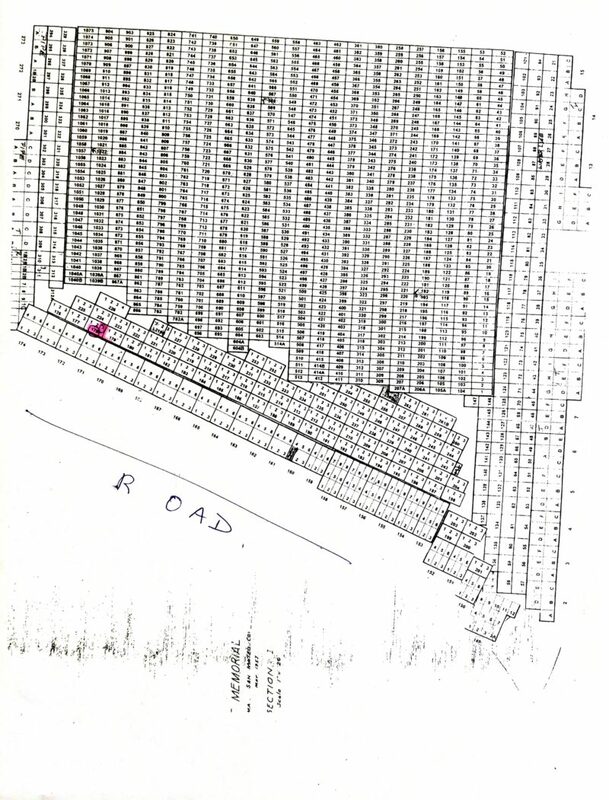 Outside of the building, there are kiosks available to look up and locate the burial site of your family member. These are extremely helpful as this is a very large cemetery. The kiosk will print a map and burial site information for you. 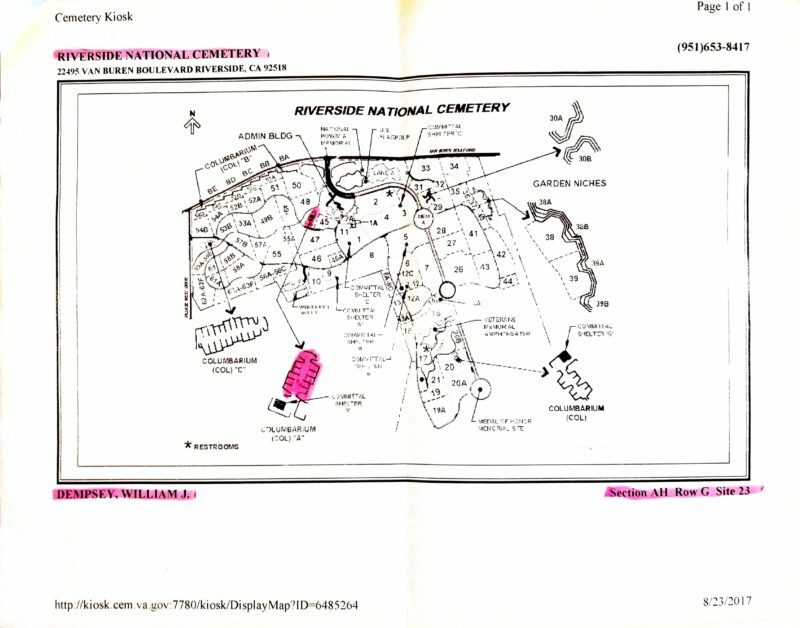 Capelli, Jay and Dempsey, Mary burial site, Section 58A, Site 2692, Riverside National Cemetery, Riverside, California. 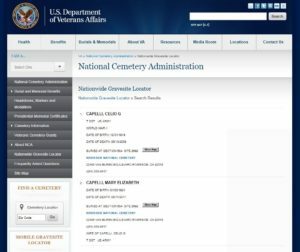 U.S. Department of Veterans Affairs, Gravesite Locator website, https://gravelocator.cem.va.gov/, accessed 22 November 2018. Agnes Marie Mattson is my husband’s great-grandmother. She kept a newspaper clipping diary from 1928-1931. You can read more information about the diary at this link: Diary Prologue. This clipping, hand dated Feb 1928, refers to Nancy Malone. 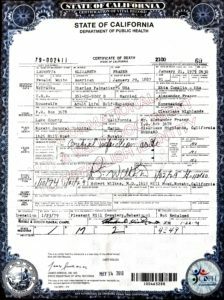 Nancy was married to Charles Britton Wells (Frank Gingg’s grandparents). Agnes’ first husband was Frank Gingg. 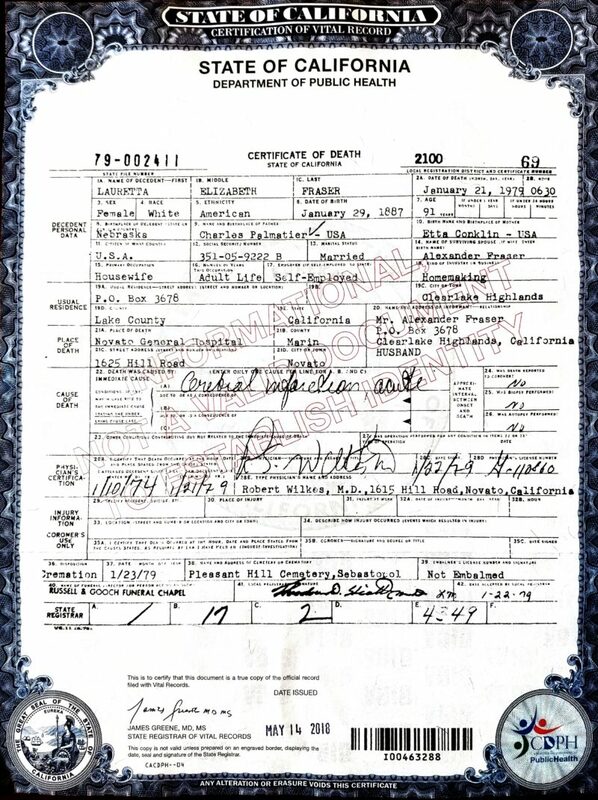 I had to check twice to make sure I had the correct person because Charles and Nancy had a daughter named Carrie Bell Wells. This clipping is full of information to research. I need to follow-up to identify the grand children. 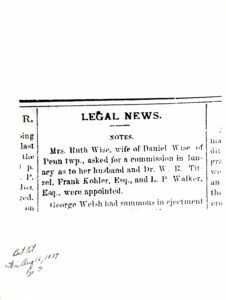 I also need to check the Santa Rosa Newspapers for 1881-1885 for any references to the Malone and Wells family. There is also at least one error in this clipping. The baby was actually a girl. My husband’s grandmother (Shirley Gingg, 1927-2003) was born six months before the visit. Mrs. C.B. Wells is here for a visit with relatives and is delighted to make the acquaintance of her youngest great grandchild, the son of Mr. and Mrs. Frank Gingg of Benton street. 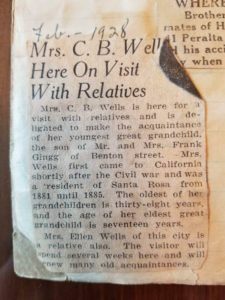 Mrs. Wells first came to California shortly after the Civil War and was a resident of Santa Rosa from 1881-1885. The oldest of her grandchildren is thirty-eight years, and the age of her eldest great grandchild is seventeen years. 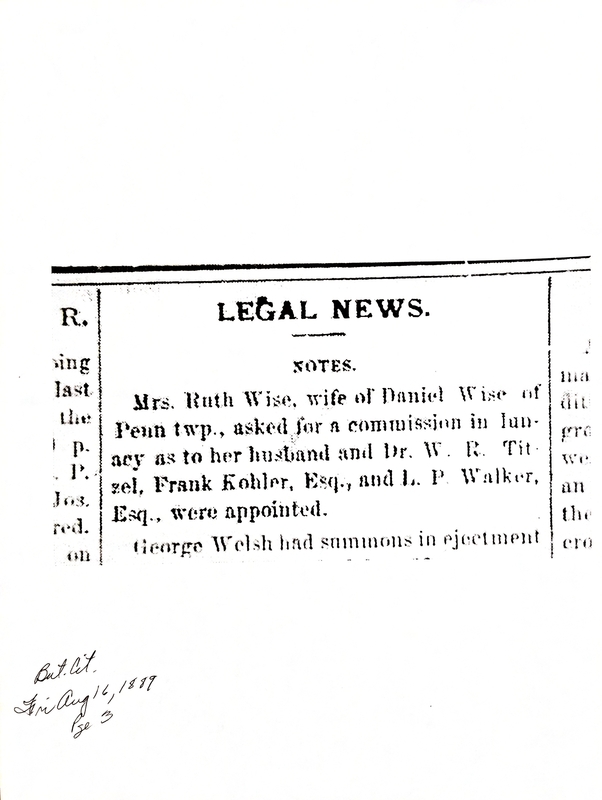 Mrs Ellen Wells of this city is a relative also. The visitor will spend several weeks here and will renew many old acquaintances.